Our last contest was run back in December to celebrate Friday The 13th with an overwhelming response. Now that we are well underway into the new year, it is time to offer our readers a brand new contest! Read on for more information. To enter for a chance to win a NECA Mego Friday The 13th Part 3 Jason Voorhees figure, please read the instructions below. 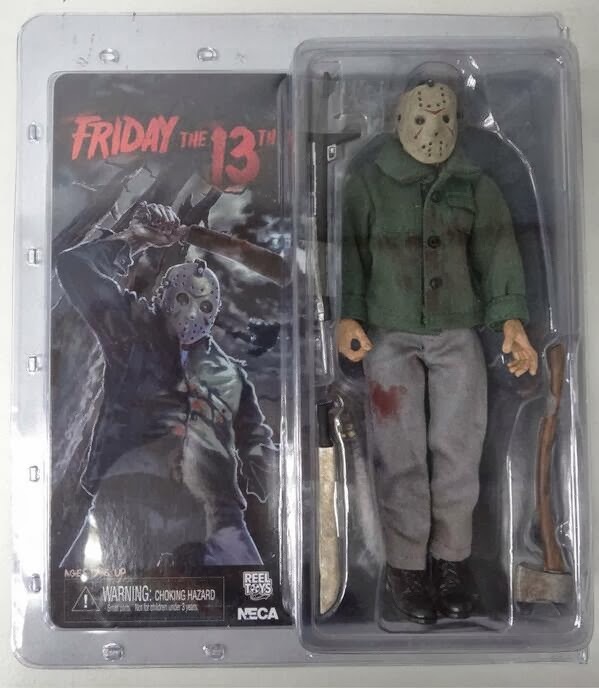 Simply tell us in the Comment Section below which film version of Jason Voorhees you would like to see NECA make next in either their Mego series or their 7 inch line. If you are NOT logging in with Social media to comment and are posting as a guest, please make sure to use a valid email address so we may contact you if you win.